No explanation whatsoever, anymore than I could figure out what brought it on. But suddenly it’s like I’m not trying to function underwater anymore. Something curious: No change physically. I can still be intensely physically tired — tired like holding my head up is too much energy — or short of breath or enjoying one or a couple of the three different variations on light-headedness, but now I’m doing it without the static. Ditto on emotions – I can be frustrated by something or daunted or lazy or lacking in virtue, but now, suddenly, my utter irresponsibility is like an unfettered act of free will, rather than me fighting against this physical inertia. I can remember telling a friend earlier this year, “I just want to wake up.” That’s what it’s like. Like I’ve been groggy for six months, and then suddenly the coffee kicked in and I snapped to it. Dr’s appointment on Monday, and we need to decide with who / when / how to pursue the on-going thing, in light of the fact that I was pretty much laid out for several months this year, which is not good. You who pray should pray for that. Meanwhile, you who prayed and got me to snap out of the thing, thanks. I’m enjoying this. Interesting thing one: Nothing bad happened, and it still managed to own a month of my life and counting. Normally what happens with a cold is that if there aren’t any complications, it annoys you and then you get better. Instead what I had was no complications, and tangible but glacially-paced recovery. So I go weeks constantly asking myself, “Surely something terrible has happened because no one is this tired, with this obnoxious of a cough, for this long,” except that no, nothing terrible was happening. Not a single sign of a secondary infection or anything else. Every day was in fact just a tiny bit healthier than the day before. A perfectly normal recovery, only carried out in ultra-slow motion. So that aggravated me, because I was impatient to be back to the fully-functional-esque person I was in earlier April – May. I’m thinking, looking back, that ultra-slow recovery is the same reason February and March were the disaster that they were; or maybe it was something else. And here’s where the interesting cropped up: My allergies really truly went away. If noses run in your family like they do in mine, not sneezing is an aberration. Curiously, when I first got dramatically ill in 2014, something that happened is that the allergies completely cleared up and stayed cleared up. So today I googled “allergies autonomic nervous system” and it turns out this is a thing. Essentially hayfever (cats, dust, pollen) and my presumed type of IST are opposites. Not quite as neatly as all that, but something like it, which will presumably be helpful to figure out. For the moment all that tells me is that should this renewed spell of sickliness pass, I should plan to start sneezing again. Meanwhile, we’ve got a topic for the visit to re-up the meds this summer, which might entertain or even intrigue. We’ll see. In the meantime, given that 50% of the last six months have been “temporary” disasters, I need to quick get just organized enough to hand off the remainder of my responsible-person obligations. Prayers in that direction appreciated, both that the intended handing-off will happen efficiently and well, and that I’ll make good decisions about precisely how much I can commit to in the year ahead. And now I seem to be turning that corner. Stamina’s up a bit, can get more normal-life done, brain is clicking back into gear, though it does not care for distractions. The corner turned just in time for me to get the taxes done, which is actually a happy thing. But seriously, man to whom I am married: Do not walk into the room and try to touch the computer, even just to turn on music, while I am doing the taxes. I’m not ready yet. I don’t think I learned anything else. When I’m tired, it’s way easier to get sucked into the time-waste that is excessive clicking on cute pet photos. Even though I love the pet photos. Please keep posting photos of your pet, I approve. The thinking thing . 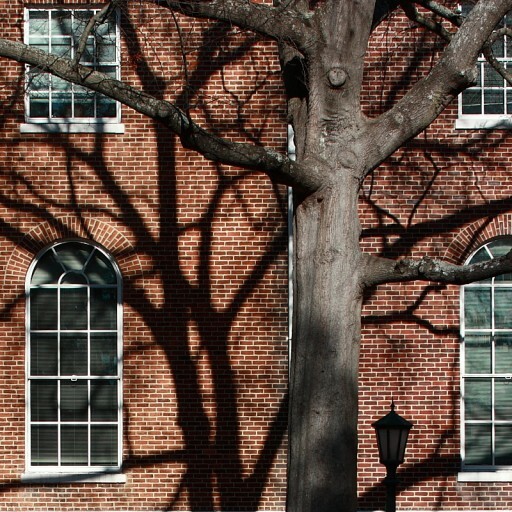 . . hard to do real work online without long periods of uninterrupted time. Did I mention I’m home all day with four children? Who are, as the category-name suggests, prone to childishness? In other cool news: The boy is confirmed. Woohoo! We had to do that letter thing for the confirmation retreat, where the parents and other people write letters to the kid, and then mid-retreat there’s a carefully timed moment to go off to a quiet place and read the letters. I wrote to the boy about how he is a genius of a comedian and I always feel like I’m living in some kind of cosmically-ordained lair of an arch-villain, in which I get to keep the one of the most brilliant comic minds of the century on hand as my jester. I didn’t use the phrase “lair of an arch-villain” in the letter. In other news, review edition: I have the best friends. If you ever need people to pray for you, you should have my friends. So everything is holding steady, which is good. Miracle drug still doing its miracle thing. I got hold of a fitness tracker this winter and have started watching the daily exertion count, which makes it much easier to manage my activity level, but also maybe a little more depressing (she said buoyantly). Basically the pace of six days on, one day off works pretty well, as long as the six days are “average”. I’m getting trained to take a second rest day preemptively if I know I can’t afford to bonk later in the week. What doesn’t work: Continuing with a few extra average days, because you feel fine and anyway there are important things happening . . . talk about high-interest loans. Try to skip one rest day, and find your brain slowly draining away during the last couple “just one more normal day” days, and then your body is utterly laid out, as if you had the flu only you did not have the flu, for five days. Try to gain one day, lose five, and also alienate a few folks by your lousy social skills during the pre-collapse decline. Yeah, that was a neat experiment. So that trained me to be aggressive about managing rest, and overall it was a beneficial experience because without the certainty that rest is a non-negotiable, it would be much harder to set the boundaries. Also, I discovered all these interesting BBC miniseries, so it worked out. Essentially I can tell how sick I am by how interested I am in television. Healthy = Zero Interest. Medium = I’d rather be writing. Desperate = Is There a Law that Brendan Coyle has to be in Every British Period Drama Ever Made Since 1991? The surreal part of all this is that I find myself thinking, about myself, Well, um you don’t look sick to me. That’s a good thing (yay modern medicine) because pallor and gasping and feeling perpetually buzzed is overrated. The new normal is operating like a completely normal person, and without any particular difficulty, other than that normal happens to be at the limit of my physical capacity. But that at-the-limit situation doesn’t how I’d think: It’s no problem at all at any given moment to quick sprint across the yard, or take a long walk, or haul boxes of stuff in and out of the truck, and so everything seems completely not-sick. The hitch is in the number of days I can pull it off for, before I find myself suddenly struck by the Useless Fairy because I used up my minutes. The other confusing thing is that if I’m on an even keel, things that other people find difficult, like spitting out massive quantities of punditry, are easy. Effortless. Which makes it seem like I’m a person of leisure and boundless productivity, when what I’m actually doing is preventing myself from going absolutely mad while I ration the physical exertion like an exercise miser. I think that’s what it is: Being actively sick was like being exertion-destitute. Now I’m upgraded to the exertion counterpart to living on a very frugal budget: It isn’t that you can’t live on it, and have nice things and go places and all that; it’s that in order to make normal life happen without careening from crisis to crisis, you have to spend your limited resources very carefully. Oh, so the thermostat story: We’re the kind of people who don’t turn up the heat in the winter. Normal winter thermostat settting was low sixties during the day, down to 55 at night (if it got so cold indoors, which is only in the depth of winter), and with a little blip up to 65 in the morning during shower-time. Also we’d push it up over 65 if guests came over, because people don’t always dress for winter during winter. We have a small wood stove in the living room that lets us do the cozy-around-the-fire thing in the evening if we want to as well. But what happened was that as soon as the house got cold, I completely turned into a slug. The new-normal wasn’t sustainable. I theorized after a little research that since I was already living at the limits of my endurance (which sounds more dramatic than it is, but still, is the case), the extra load of trying to keep the body warm was pushing me over the edge. I set the thermostat to “hold temp” at 65 night and day, and sure enough the body reverted to its normal cycle of productivity. So now when I see people talk about thermostat settings, I have a whole new layer of curmudgeonly thoughts that I don’t share. To summarize: You don’t need to turn the heat up, unless you do. 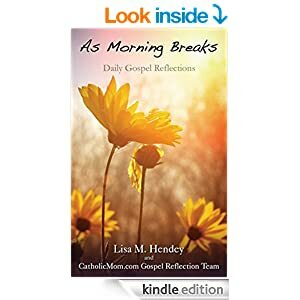 Now out from CatholicMom.com: As Morning Breaks, Daily Gospel Reflections. It’s available as a Kindle book (very affordable – $2.99), but FYI if you want to get this as a gift for someone, it’s not necessary to own a dedicated device in order to read it. Any PC, tablet, whatever, can read Kindle books, just download the free software from Amazon. What’s in the book? A reflection on the daily Gospel reading for every day of 2015. 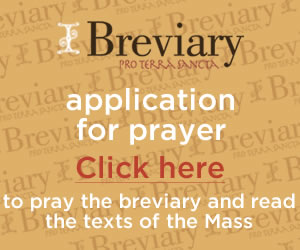 This is from the team at CatholicMom.com, so if you’ve been reading those Gospel reflections online, it’s that. You can preview the first month, which lets you get a taste of each contributor’s style and the kinds of ideas that will be coming your way each day. If you just want to see my name in print, scroll down to the 16th. Why is this book better than a bake sale? Because you can support a good cause without your kids whining over who got the bigger brownie. All the proceeds from the sale of the book go to help underwrite the cost of keeping CatholicMom.com up and running. FYI if you weren’t aware, CatholicMom.com is basically the largest womens’ mag in the faithfully Catholic world, brought to you free everyday thanks to the contributions of dozens upon dozens of volunteers who give their time and labor to make it happen. It’s the place where aspiring Catholic writers are incubated, and it’s the place where established Catholic writers who get paid for everything else they publish still turn up to contribute their work pro bono. It’s a good cause, and you get more than your money’s worth for what you buy. Check it out. Medicated, normal life works fine. Housework, errands, school, etc., all that is no problem. Planned workout (you know how plans go) of a 2-mile walk daily seems about right. With that kind of schedule, I’m good Mon – Sat, and really need Sundays off. “Off” as in go to Mass, do the social thing for a bit, then come home and read a book or write a novel or something. Lie around and physically catch up on the week. If I up the intensity earlier in the week, I don’t make it to Sunday. Hopefully over time I can add more exercise, but for the moment, what I’m doing is the max sustainable. Which doesn’t mean I don’t sometimes jiggle the schedule, and borrow from one day to put more into another. That works, as long as I pay up in a timely fashion. So all you who have prayed, thank you very much. Couldn’t be happier with the results thus far. Just showed up here and you’re looking for my writing? Check the blorg. My ability to make lists and keep a calendar is back in full force. Wow. I knew my brain had been working on partial-capacity for a long while, but it’s dramatic to experience the return. Saw Dr. M early in the week. He says come back in a year unless something crazy happens. No reason at this time to think there is something other than mystery-model IST, but of course if bizarre scary nasty symptoms emerge, then we’ll realize we were mistakenly optimistic. So far so good, and since I live in the present, “how things are now” is stretched out indefinitely in my imagination. I like that. Trying to keep the schedule pared down during self-rehab, and also in light of the boy starting high school this fall and me teaching two new-to-me courses. (The one, French 1, I’ve taught before but not this particular course.) Have some work to do to get all the materials together for that. Re: High School, I came to my senses and enrolled the boy in Kolbe’s Online courses, which means I can stay on top of the homework-doing, but not actually be required to master the Greek classics myself in quite the same way it would take otherwise. June 20, 2014 Quick Links – Corrections on Guns & Tuam – Rebecca Frech’s story you need to read, and also the AP botched it on the story commentated on earlier in the month, see below. June 20, 2014 Fortnight for Freedom Begins Tomorrow – What Have You Been Writing? It’s that time. June 20, 2014 The Protection of the Innocent and the Decision to Kill – Redneck Catholicism explored. June 19, 2014 Dead Priests, Dead Babies, Guns, Cars, Accidents, Guilt & Absolution – Pile of thoughts on related topics, no claims it’s a cogent essay. June 18, 2014 Three Easy Steps Towards US Health Care Reform – People seem to like this one. I’m interested in your feedback, combox is still open and will stay open as long as it’s civil, which it probably will remain, calm topic and all that. June 16, 2014 F-Minus Christianity: Loving My Enemies – You knew I wasn’t that great of a Christian, no use pretending otherwise. June 10, 2014 Transgender Children: What is a Christian Parent to Do? June 6, 2014 Tuscany Prize – 2014 Deadline Approaches – PSA – due soon! 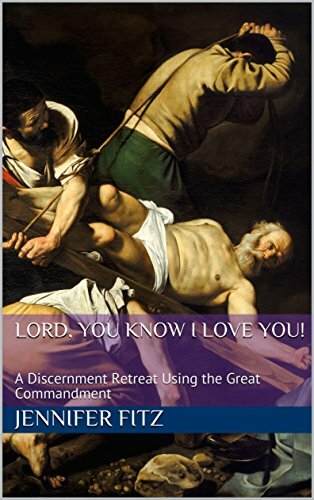 June 6, 2014 Free Stuff: Lord You Know I Love You Retreat Workbook – Revised & updated. June 5, 2014 “Experimenting on Your Children” – Why cursive is worth your time. June 4, 2014 Evil is Easy – updated twice – See “Tuam correction” above. May 31, 2014 Mandatory Reading: Frank Weathers on Forced Sterilizations in the US. Not the long ago. May 31, 2014 How to Stay Sane in St. Blog’s – If you liked Larry D.’s piece on this one, here’s the serious counterpart. May 29, 2014 Why Does the Ascension Matter? – Reprint from my guest post at Melanie Bettinelli’s. Longtime fans will be excited to see it run again. May 28, 2014 “I Got My Life Back!” And Similar Nonsense – Comments on the spiritual side of better living through chemistry. May 27, 2014 Why Yes, You *Should* Attend the Catholic Writers Conference this Summer – I can’t make it, but you can, go. May 26, 2014 The Door Comes to Us, and It Looks Like Bread and Wine. This is my favorite post ever, @CatholicMom.com. May 22, 2014 Come to Mass Ugly, Please – Fan Mail Edition – Link to my post at NE on why the Mass is so important, and me doing a happy dance because Bryan Murdaugh liked it. May 21, 2014 PSA: No Mess, No Fuss Potty Training for Younger Siblings – People didn’t know this one. I was stunned. So glad I wrote about it. May 21, 2014 How Do We Learn the Catholic Faith (or Anything)? May 20, 2014 When Should You Go to Confession? May 16, 2014 Satire? Yes or No? – I’m still debating. May 9, 2014 How Not to Do Religion – And don’t stalk my favorite cranky lapsed-Catholic potty-mouthed disability-rights blogger either. Just saying. May 9, 2014 Adverse Family Experiences Among Children in Nonparental Care, 2011–2012 – Article link. The update ten days into the beta-blocker experiment is: Wow. Normal Life. I like this. It’s getting hard to know how it’s going because I’m losing my sense of the before & after. I’d estimate, though, that I’m operating at about 80-90% of what I’d imagine is “normal”. A little tired, but nothing like the silly-tired even from this winter pre-catastrophic-turn-for-worse. I’m happy. Follow-up w/ Dr. M mid-month. The working theory on the dx is inappropriate sinus tachycardia, and if wikipedia seems a little vague, it’s because that’s how it is. If you google around there’s a variety of theorizing, some of which sorta matches up with my experience, some of which does not. No particular notion of causes or effects in my case: Thyroid has been once again cleared of all charges, I don’t have any symptoms of an adrenal-secreting tumor (other than this one thing) but I suppose that’ll have to be ruled out definitively, and apparently if it were a problem with the sinus node itself, it probably would not respond to beta blockers so well. Curiously, since the semi-dx, we’ve gotten two different reports of guys who had something quite like this. So it’s a thing. A semi-secret thing. Now digging my way out of the backlog. Discovered a suitcase under the girls’ bunkbed last night that still hadn’t been unpacked from the March for Life. Oops. Little things. But now I know where that missing raincoat was.